According to a 2016 CNN study, 92% of campaign ads in the closing days of the 2016 presidential campaign were negative. The volume of negative ads in the 2018 midterms outpaced the 2014 elections by an increase of just under 120,000. 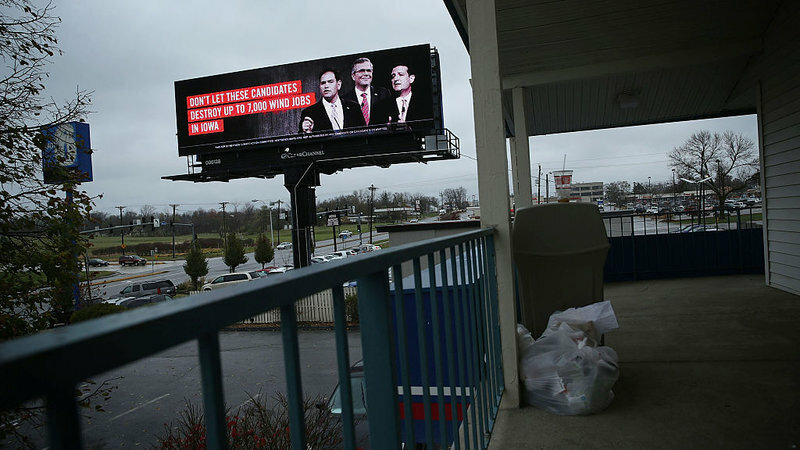 What makes negative ads work? While conflicting research exists on the effect of negative ads, most notable researchers have shown motivating voters with negative ads requires the creation of an emotional response. Negative emotions aren’t always the impact of negative messages. Sometimes the mudslinging can provoke disgust, a feeling that might turn off a voter to the ad. If an ad triggers fear – and voters are distressed by that fear – then a well-researched psychological theory, the Transdiagnostic Theory, would explain the large impact of anxiety-provoking ads. Dr. Barlow, a preeminent behavioral psychologist at Boston University, created a model of how people’s motivation to avoid or escape stress is at the heart of most emotional and behavioral problems. In his theory, Barlow and his colleagues point out that people are motivated to avoid not just the fear-causing event or agent, but the anxiety that the fear causes. For example, if a political ad produces a strong emotion as well as the impression that voters shouldn’t experience that fear, then voters will be motivated to act in ways that eliminate the source of both the fear and their subjective distress about being upset. It’s a one-two punch. Consider this second “fear of fear” reaction as stress from being afraid. Therefore, a negative ad that drives voters to act to escape their fear and stress should provide three parts: causing fear of the opponent (fear triggering), outrage about having to be afraid (stress activation), and encouragement to vote against the opponent to reduce fear and stress. The most recent Stress in America study reveals that almost 70% of us experience stress about politics. Based on the Transdiagnostic Theory, that is a massive proportion of us who may be motivated to act against whomever, or whatever, triggers our fear and stress. The reality of humans includes a strong motivation to survive, driven by fear as a signal that there’s a threat. If ads send the message that a political candidate or party is a threat, voters will be motivated to eliminate the threat and the stress of feeling threatened. If that basic motivation to escape anxiety and stress is strong enough to keep one from using public restrooms if one has OCD, is it any wonder that the same motivation leads to candidates being elected who promise they will eliminate the source of our fear, making us safer and calmer? Unfortunately, this approach to anxiety and stress avoidance is at the heart of unhealthy behaviors. While escaping a source of stress works in the short-term, the long-term outcome becomes more-and-more escaping, rather than addressing the underlying problems causing the anxiety and stress. Sources of risk cannot more be eliminated than can the sun coming up every day. Ads promising to make life safe and calm ignore the long-term truth that life contains risks and problems to be managed by solving problems, not avoiding/escaping them. For example, threats from criminals cannot be escaped by building a wall to eliminate the threat, unless criminals end their ever-constant resiliency. The idea of a wall may make us feel less stress for a second, but when criminals and drugs find new ways to enter the country, then we will chase a new false promise of escaping our stress. It is a never-ending cycle. For both the United States and its citizens, the healthier solution springs from solving the problems, and by doing so, appreciating the value of feeling fear and stress—as motivators to take positive action. Ads that talk of solving problems don’t make fear and stress go down through the ad itself; instead, they lay out an action plan that takes work, resources, and (yes) tolerance of anxiety and stress as we solve the problems. Ads will forever use fear-mongering and stress-induction to motivate voters to take action against something. Leaders, when running for office, must reshape their messages to include inspiring citizens to believe that the US can solve its problems. That is of course if the country can tolerate anxiety and stress while inventing solutions and adapting to the changing world we live it. Candidates of the future might consider the saying of Roosevelt (still as true today as ever) that the fear of fear can be defeated through new ideas and positive approaches to our difficulties. Perhaps, better-informed voters can learn to embrace candidates that offer ideas and solutions. Vote for solutions rather than against feeling stressed. Vote for solutions. Not the false illusions of them.